Its getting close to Halloween and I wanted to give you some information about Waking Dream and upcoming events! Many reviews are coming in on the book, and they are 5 stars, so in that I am truly humbled. I wanted to take a moment and give a little more information about the book and hopefully piqué your curiosity in picking up your copy today! The town of Devlin is at the centre of a conspiracy that has been in motion for centuries. One dark immortal will begin his plot to take over the world and cloak our planet in eternal twilight, beginning on Halloween — this coming Halloween. 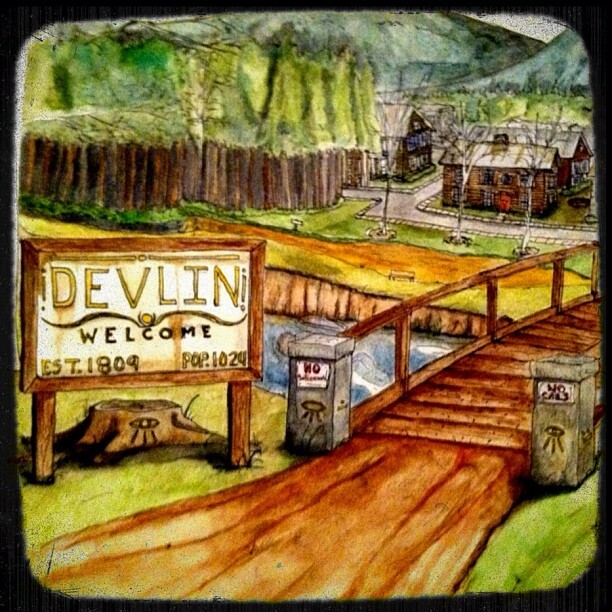 Waking Dream: Devlin begins with events on October 26, 2013. Over the thirteen chapters and six days, the world will be dramatically changed, setting the stage for the next two books in the series. “Devlin itself put me in mind of a grown up version of Hogsmeade. Just because you didn’t get your letter from Hogwarts doesn’t mean you can’t be Awakened to your particular ability–that can happen at any time in your life. So take heart! “If you like reading about the Paranormal then “Devlin” is a must read and you will deepen your knowledge of the power of weird itself. The book is currently on sale on all eBook formats for $4.99 (USD) on Amazon, Nook and on iTunes. I hope you’ll take a chance to read it, and give me feed back so I know what direction you would like me to take with the series. This is not only my dream, its is all of our dreams. I will also be doing a guest blog post on the influences of H.P. Lovecraft on my writing for a horror blog in the UK, so stay tuned for details!